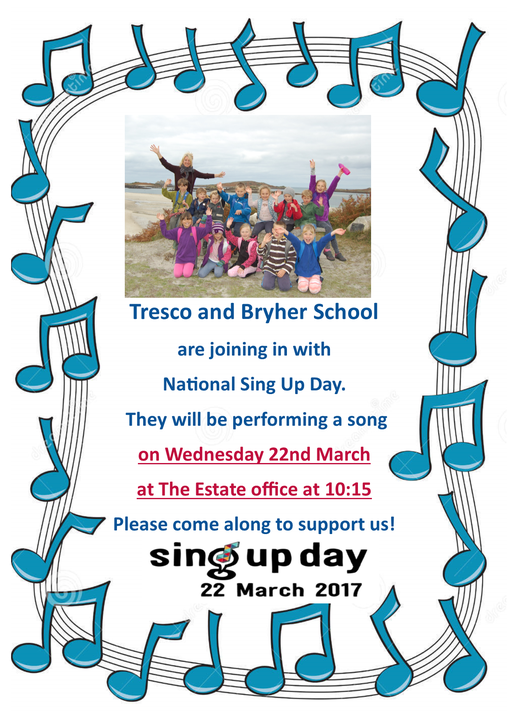 Tresco and Bryher school are joining in with National Sing Up Day. They will be performing a song on Wednesday 22nd March at the estate office at 10.15. Please come along to support us!